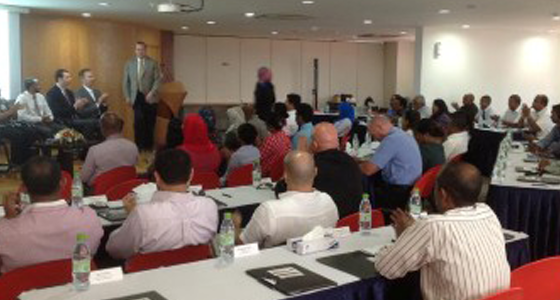 Our team of expert practitioners deliver corporate and bespoke training to organisations across the Maldives. Our areas of expertise include a broad range of business-related areas, including Management and Leadership, Customer Care and Customer Service, Accounting, Sales, IT, Supervision Skills, Project Management, Team Building and Reception Skills. All our training programmes are delivered by expert trainers with a wealth of industry experience and delivery expertise. Our training session are highly practical, and are delivered to ensure attendees develop both a strong theoretical knowledge of the subject matter, and the skills needed to apply the knowledge where it’s really needed – within their job roles. 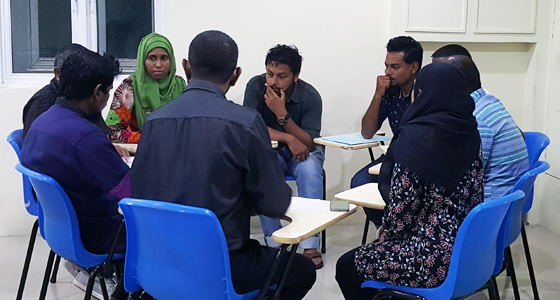 We have delivered training to many of the biggest and best organisations in the Maldives, including Crown and Champa Reports, STELCO, Island Breeze Maldives, MNDF, Presidents Office, UMET, Youth Ministry, as well as training sessions on behalf of UNDP and ADB. Our corporate training sessions are suited to organisations of all sizes wishing to develop the skills of 1-15 staff members through high-quality, practical sessions. Our forthcoming corporate training events are listed below, and can be booked by calling 331 4621 or by returning the downloadable booking form to info@maps.edu.mv. Follow this link to view details of the the Corporate Training Masterclasses. Our bespoke training services can be tailored to the needs of individual organisations. 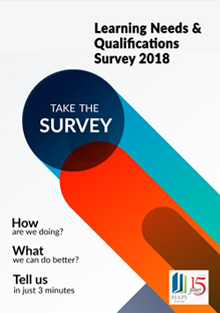 Our subject matter experts will work with you to identify your unique training needs, develop a suitable training programme and delivery it at a venue and time suitable for your needs. Bespoke training courses have total flexibility in terms of duration, timing, and specialised content, and are best suited to organisations wishing to train 15+ staff members. 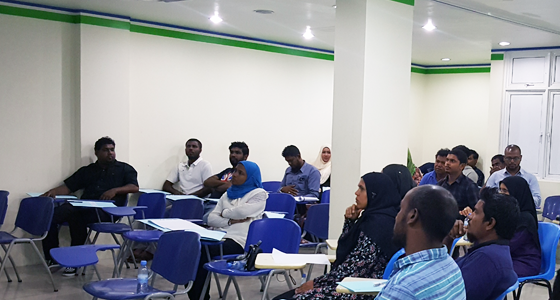 To discuss your bespoke training needs, please contact our team on 331 4621 or email your query to info@maps.edu.mv and one of our team will get back to you. You can also apply for these programmes by completing the booking form and submitting it to the College Reception or emailing to us.